Welcome to Lynnfield, MA! 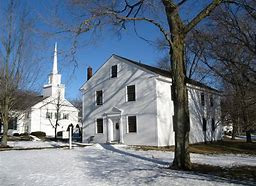 This small New England town is a friendly suburban community well known for its civic, cultural and charitable spirit. Two major highways (Route 1 and Interstate 95) traverse the town and provide easy access to the region’s employment centers, as well as cultural, recreational and educational opportunities. It is primarily a residential community, with business districts located along the highways. Housing is mostly single-family homes, with some townhouse and apartment units. The town center is a traditional beautiful New England green, with the 1714 Meeting House as the visual centerpiece of the town common. Several lakes and ponds dot the town, including Suntaug Lake, Reedy Meadow and Pillings Pond. Lynnfield has an excellent public school system and is home to one of the best new shopping complex in the area called, Lynnfield MarketStreet. Market street is a gem that brings Lynnfield and its neighboring town communities together through its many stores, restaurants, services and special events. It is a year round venue where you will always see a familiar face! Call us for a personal tour of Lynnfield. New to the market ! Build the home of your dreams on this residential 1.47 acre ( 64,431 sq ft ) level lot! Situated in a great neighborhood and convenient to major commuter routes 1, 95 and 128 and Lynnfield Market Place. Utilities at the street . Listed by Tsakirgis Team and Julie Tsakirgis of RE/MAX Property Shoppe, Inc.
You will be pleasantly surprised at the size of this home once you walk through the front door! Much of this home's perks are a hidden gem! This bright and sunny multi-level ranch has 7 spacious rooms featuring skylights, cathedral ceiling and open floor plan making it perfect for entertaining! The master suite also enjoys a cathedral ceiling with a palladium window over french doors and walk-out balcony which overlooks the beautiful yard. Two additional large bedrooms with plenty of room for bigger furniture. This home has an abundance of storage: wide open basement, attic, beneath stairs, bedroom closets, and oversized shed. Basement has full windows and walk- out sliders to enjoy the stone patio and fire pit in the largely private yard! Replacement windows through- out, 200 amp service, gas heat with super store, and room to expand in the unfinished part of the basement and still have plenty of storage! Walking distance to Town Center, Summer St School, Tower Day Care, and Library. Rare opportunity to purchase 3 contiguous office suites totaling over 3,200 sq ft in the No Shore's premier Class A condominium park for less than the cost to lease in comparable office buildings! Highly efficient layout is built out with high quality finishes throughout. It includes 8 large private offices, 2 conference rooms, kitchenette, open work areas, storage room and skylights. Extensive thermal ribbon window line allows for ample natural light. Park amenities include on site furnished conference centerwith full kitchen, showers and lockers. Utilities separately metered to Peabody Municipal Light Plant. Ideal for lawyers, accountants, financial advisors and other professional users. Ample parking. Impeccably landscaped and professionally managed with full time on-site property manage. DO YOU WANT TO KNOW A SECRET? This charming New England Cape located on a private cul-de-sac is the BEST VALUE in Lynnfield! Offering 3 BRs, 2 BAs, kitchen w/ granite counters, SS appliances, fire placed LR and so much more. Enjoy your morning coffee on the private deck overlooking a peaceful and tranquil setting. Love to entertain? Not to worry, there's plenty of space for family and friends. Rare opportunity to buy a gorgeous lot on a cul de sac in Lynnfield! This is PRICED TO SELL! The best deal in town! Attention builders and homebuyers! 1.47 ACRE cul de sac lot on beautiful Kimberly Terrace! Perk tests done. Proposed septic design for 4 bedroom single family home. See "Documents" attached in MLS for: Lot Plan, Perk Tests/Septic Design cross section, Order of Conditions & Extension to 2020, and Property Description. Upper end homes in neighborhood! Abutting 323 Acre Camp Curtis Guild. Permit/engineering work would be done by buyer/new owner post closing. The seller will consider moving the existing driveway easement to another easement location designated by Seller and there would be an additional $10,000 added to the price of the lot; contact listing agent for more information. Rear of lot is south facing; overall a beautiful lot! Listed by Land and Sea Real Estate and JoAnn Kalogianis Spaneas of Land and Sea Real Estate, Inc. Looking for condo living in desirable Lynnfield? Look no further than this well-kept tri-level townhouse unit at Cedar Pond Village! The 1st floor features a huge living room with beautiful hardwood floors, fireplace, & slider to a private deck with scenic views, as well as an eat-in kitchen with granite counters & a well-sized dining area. Head upstairs to find an enormous master bedroom with tons of light, plenty of closet space & an en-suite master bath with Jacuzzi tub, stand-up shower, & double vanity! The second bedroom, another full bath & 2nd floor laundry complete the upstairs. In the finished lower level, you will find another fireplace, wet bar & a walkout slider! One car garage for those rough New England winters & plenty of storage, the unit has gas heat, central air, and is minutes from 95, Route 1 & Market Street shopping & restaurants in Lynnfield. Enjoy the amenities the complex offers as well, with a swimming pool, clubhouse and tennis court! This is a can't miss! Listed by Paul Hryb of Maloney Properties, Inc.
No Shore's premier Class A office condo park. One of the nicest units in the park! Custom designed corner suite with an excellent window line, executive suite, large conference room, several private offices, reception area, kitchenette / storage, custom cabinetry and open work areas. Park amenities include on site furnished conference center / clubhouse with full kitchen, showers and lockers. Utilities separately metered. Ideal for lawyers, financial advisors and other professional users. Ample parking. Impeccably landscaped and professionally managed. PRICE REDUCED!! MOTIVATED SELLER will entertain cash credit at closing. No Shore's premier Class A office condo park. Custom designed corner and center double suite with an excellent window line, several private offices, reception area, kitchenette / storage and open work areas. Park amenities include on site furnished conference center / clubhouse with full kitchen, showers and lockers. Utilities separately metered. Ideal for lawyers, financial advisors and other professional users. Ample parking. Impeccably landscaped and professionally managed. No Shore's premier Class A office condo park. One of the nicest units in the park! Custom designed corner suite with an excellent window line, 3 large partner offices, large conference room, reception area, kitchenette and storage closets. Park amenities include on site furnished conference center / clubhouse with full kitchen, showers and lockers. Utilities separately metered. Ideal for lawyers, financial advisors and other professional users. Ample parking. Impeccably landscaped and professionally managed.